A year and two months since prominent Lao civil society leader Sombath Somphone went missing in Vientiane, his family is still puzzled over why he disappeared and his ailing mother is still waiting for him to come home, his wife said Thursday. “His mother is now 86 years old and ill,” Sombath’s wife Ng Shui Meng told RFA’s Lao Service Wednesday in Australia, where she spoke to students at the University of Sydney about his case. “She is crying and waiting for her son return,” she said. The 61-year-old NGO leader has been missing since Dec. 15, 2012, when he was stopped in his vehicle at a police checkpoint in Vientiane. He was then transferred into another vehicle, according to police surveillance video, and no one has seen him since. Lao officials say they are investigating the case but have offered little information on his whereabouts, prompting human rights groups to suspect that he may have been abducted by government-linked groups. Ng said she did not know of anything Sombath—who founded and ran a community education and youth training center in Vientiane, the Participatory Development Training Centre (PADETC)—might have done to anger government officials, saying he had always obtained official permission for his work. “Whatever project he worked on, he always had to get permission from the government beforehand—first from the central government, then at the provincial, district, and village level,” she said. When Sombath had gone to visit rural villages to train farmers or young people, officials had gone with him, she said. Sombath was the recipient of the 2005 Ramon Magsaysay Award for Community Leadership—Asia’s equivalent of the Nobel Prize—for his work in the fields of education and development. NGO leaders have said the disappearance of the well respected community development worker has rattled the Laos’s activist community. 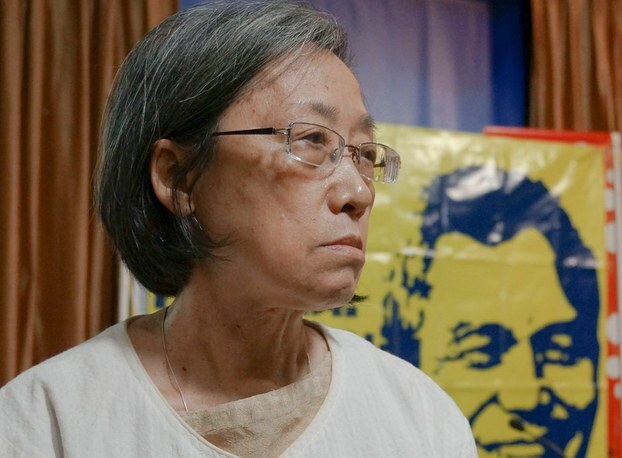 Ng, a Singaporean national and community development worker herself who has lived in Laos since the 1980s, has lobbied foreign governments to pressure the Lao authorities to fully and speedily investigate the case. “I ask whoever talks to the Lao government to urge it to do everything it can to find Sombath and bring him home with safely, bring him back to his family,” Ng said.